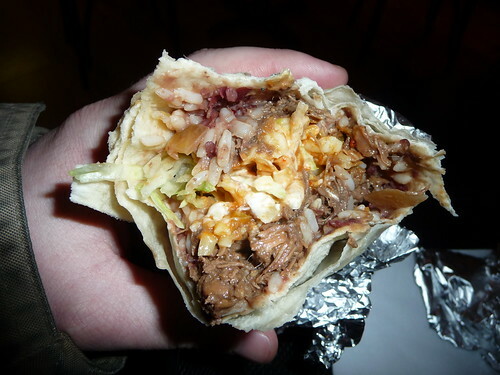 Chipotle’s steak burritos, stuffed with pinto beans, rice, medium salsa, cheese and guacamole (gotta have the guac!) are the best! If they weren’t so filling I’d eat them all day long! Food of the Gods, I tell ya, and what a deal for such a wonderful meal: Around here burritos run about $8, with guac. Add a small soda and you should still come in just under $10.